CVS/pharmacy announced the April schedule of Project Health (Proyecto Salud in Spanish), a wellness program delivering more than $21 million worth of free health screenings to multicultural communities throughout 2012. Medical personnel will be on hand to provide diabetes, blood pressure, cholesterol and BMI screenings. Referrals will also be provided as well as consultations with nurse practitioners and CVS pharmacists. A selection of screenings will be available at each event. The Project Health events will be held at designated CVS/pharmacy locations on Thursdays, Fridays and Saturdays during the month of April from 2-6 pm daily with no appointment necessary. 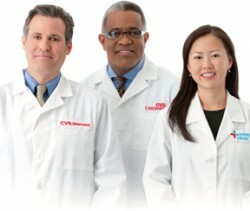 For more information, and a full calendar of Project Health events, please go to www.cvs.com/projecthealth or call 1-800-SHOP-CVS.